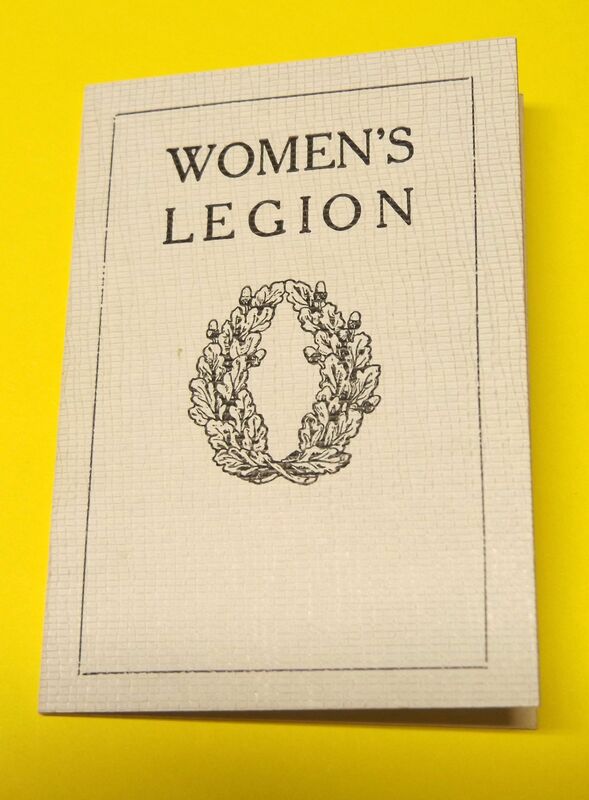 This was the quip attributed to the badge of the Women’s Legion. One hundred years ago today, Edith, Lady Londonderry addressed a meeting in Londonderry House to announce the formation of this organization. As Lady Castlereagh, she had been Commander in Chief of the Women’s Volunteer Reserve (WVR), and for sometime she had been discontented with what she regarded as an excess of militarism which was being displayed by some of the women’s organizations in WW1. Her vision was that the Women’s Legion was to be an umbrella organization, with a number of sections, of which the Women’s Volunteer Reserve would be one. Plus canteen, ambulance and military cookery. However, after a few months, the Women’s Legion and Women’s Volunteer Reserve parted company. Other sections were formed as the need became apparent. These included Agriculture, Motor Transport, and Gas. The Motor Transport Section set up shop on 3 August 1915 in Upper Berkeley Street, London, providing squads of 22 women led by a Head Driver, with 10 drivers, and probationers and garage washers. The pay was 35 shillings per week, and 5d per hour overtime! They worked directly to the Army Service Corps (ASC), and wore a khaki coat and skirt with a flat cap bearing the Women’s Legion badge. 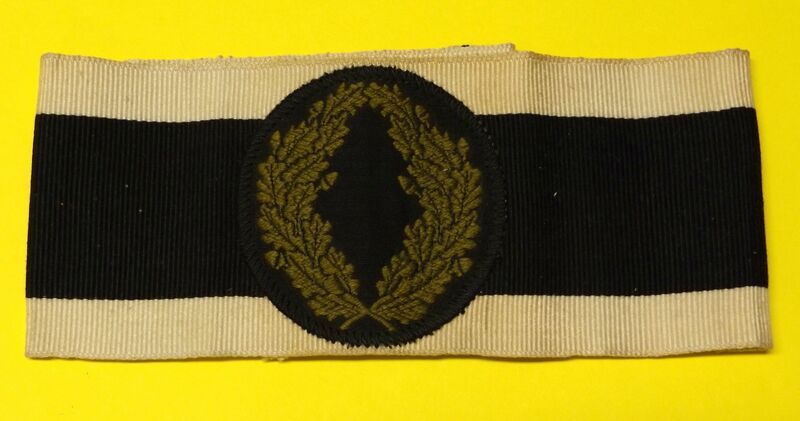 The Head Driver wore a black and white armband with a gold laurel wreath. 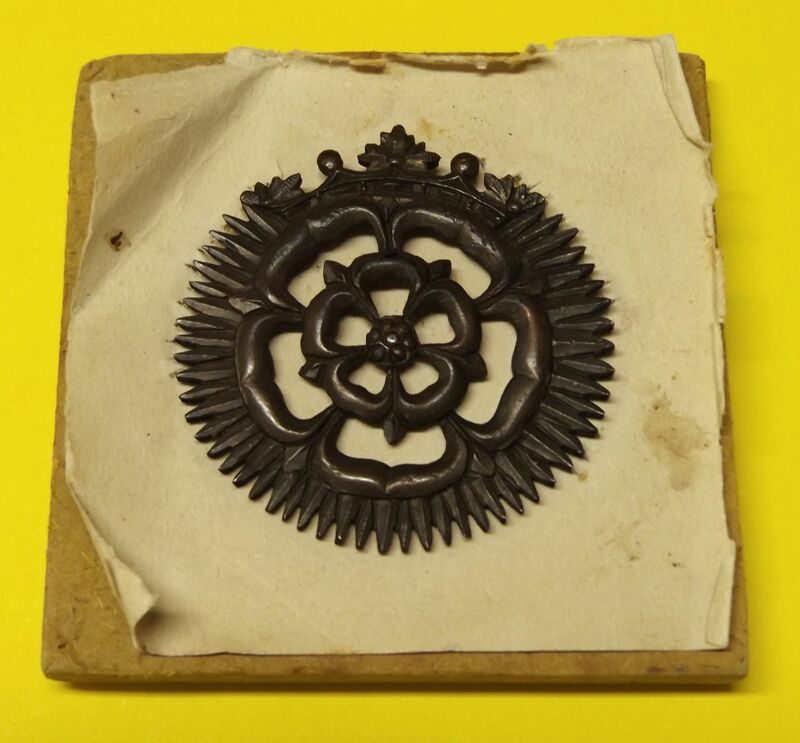 Officers wore the same uniform with Tudor rose collar badges. In 1916, this section and Military Cookery came under direct command of the Army. Lady Londonderry used all her connections in the War Office to achieve this ground-breaking move. She observed that wearing her Women’s Legion uniform smoothed most opposition. 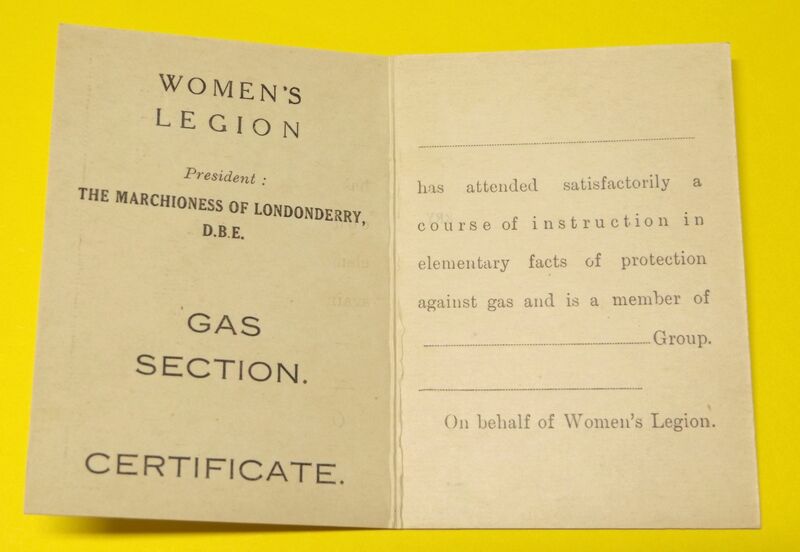 In January 1917, the Army Council appealed for 1,000 women to join the Women’s Legion. Some 26,000 enlisted! This meant that Edith, Lady Londonderry, as President, was now at the head of nearly 40,000 women! Her leadership was recognized on 4 June 1917, when she was honoured with Dame Commander DBE in the newly constituted Order of the British Empire. Two years later, she was one of five women transferred to the Military Division of the Order, which she felt more appreciative of her work. 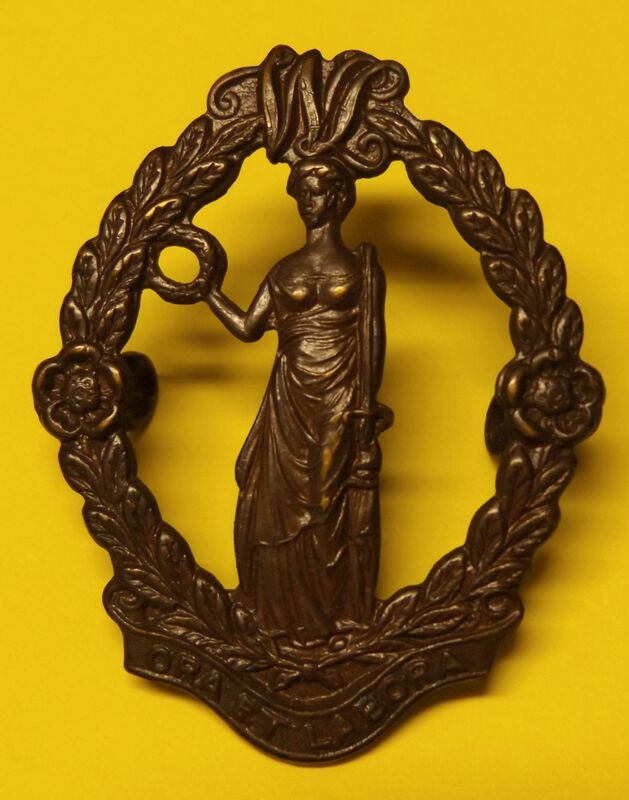 In September 1917, The War Office decided to take complete control of the workforce, and some sections ceased to exist as 8,000 personnel were absorbed into the new Women’s Army Auxiliary Corps (WAAC), but kept the Women’s Legion badge. Lady Londonderry’s aim was for women ‘to do their duties as women, and not as makeshift men.’ Women in today’s armed forces are fulfilling this vision. At Mount Stewart there are images of this period. 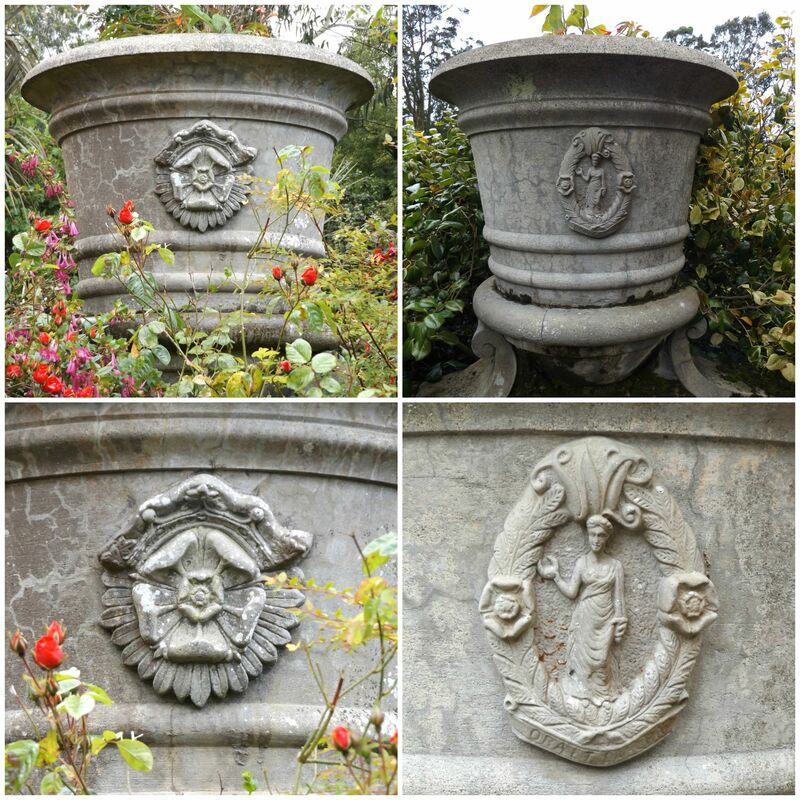 The uniform worn by Lady Londonderry and her DBE and Star are on display in the house, and on the South Terrace the badges of the Women’s Legion are carved on the large flower pots. Scotland Forever! by Lady Butler, circa 1818. 200 years ago today a battle was fought in an area no bigger than three square miles, with an outcome that was in the balance till the last minute. It resulted in nearly 100 years of peace in Europe, and has become the stuff of legend. But the road to Waterloo begins in 1769. We are used to instant news, which tends to accelerate events, but in 1814, things were moving at a frightening rate. In the spring of that year, the Allies captured Paris, Napoleon abdicated and went into exile on the island of Elba, the Bourbons were restored, and the long series of wars that had convulsed Europe for over 20 years seemed to be over at last. Wellington’s reputation stood higher than any British soldier since Marlborough. Now, with the coming of peace, he was given the last and highest promotion in the peerage and made Duke of Wellington. Almost as soon as the guns had stopped firing Lord Castlereagh offered Wellington the position of British Ambassador in Paris. Wellington accepted the offer without hesitation. However, it was August when he set out for Paris. On the way he carefully inspected the border of what is now Belgium but was then part of the Netherlands, and prepared a memo on its defence against a possible French attack. Where was this? Waterloo! From Paris he went to Vienna to replace Castlereagh who had to hurry home to defend the Government in the House of Commons. Castlereagh younger half-brother, Baron Stewart was also there, serving as the British Ambassador to Austria. He had been Wellington’s Adjutant-General during the Peninsular War. When he left to take up work as a diplomat, he sold one of his horses to his Commander-in-chief. The stallion’s name was Copenhagen. 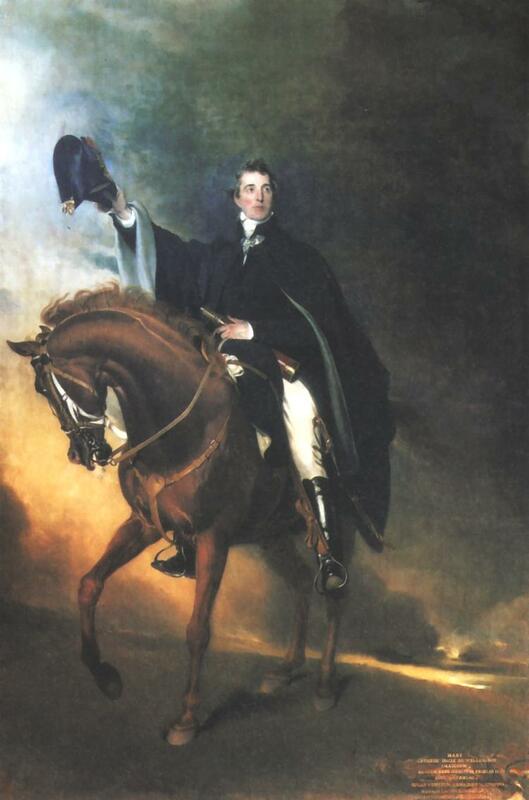 The Duke of Wellington on Copenhagen by Thomas Lawrence, circa 1818. Although the social whirl of the Congress of Vienna continued the main work had already been done. Wellington was not quite the diplomat that Castlereagh was, but he acquitted himself well. His tenure might have remained a footnote in his long life if it had not been for the return of Napoleon from Elba. News of the Emperor’s escape electrified the atmosphere. At first no one knew where he was heading. Word came that he had landed in southern France, but Wellington did not give him much chance of success. However, within two weeks, Napoleon entered Paris without a single shot being fired . It was five more days before Count Metternich of Austria received the devastating news. However, the heads of the European powers were all in Vienna and by 13 March, Napoleon had been declared an outlaw, and it was war again, declared on ONE MAN! Tzar Alexander was heard to say to Wellington, ‘Its up to you to save the world again!’ Castlereagh reported to the House of Commons and arrangements were put in place to bring back British troops from America, following the end of the War of 1814. These battalions would go straight to Europe to join the army amassing in Belgium. The scene was set. Napoleon headed north from Paris at the head of 250,000 troops. By 16 June he was headquartered in Charleroi, and skirmishing was taking place north of the town on the Brussels’ road. Wellington, in Brussels, used the Duchess of Richmond’s Ball on 16 June as an O-Group, since most of his senior officers were there. Many of them left for battle wearing clothes more suited for dancing than war. On 17 June, the forward lines of the two armies met at Quatre Bras, a crossroads on the main road from Charleroi, and at the village of Ligny. In each case, there was no decisive victory. This was the first time that Napoleon had faced Wellington, and the British general had chosen his ground carefully. He placed nearly all his units behind the north facing ridge, and waited. Sunday morning, 18 June, dawned warm and sunny. Few men on either side had escaped the ravages of the night’s downpour. By 11am, the ground was dry enough for the French guns to move into place, Wellington was heartened by the news from Blucher promising to put up 50,000 Prussian troops on the road to Waterloo by dawn. Wellington spent much of the day anxiously training his telescope hoping to see the Prussians emerge from the woods into the open. By 4.30pm, his wish was granted. 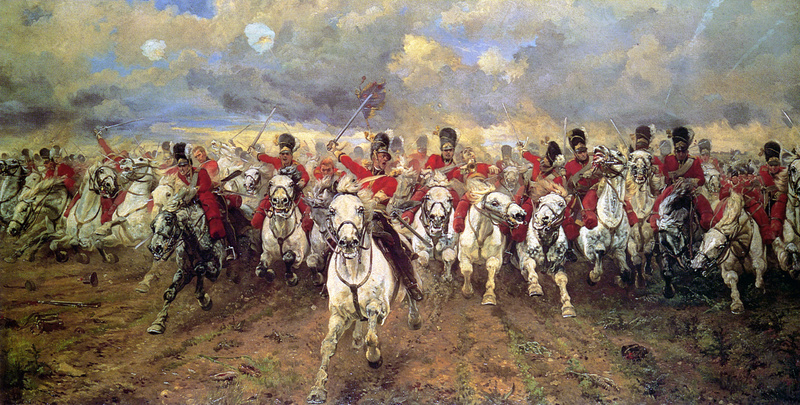 By 6.30pm, the steadily growing strength of the Prussians began to turn the tide. By 8pm, it was clear that the Allies had won. An exhausted Napoleon rode back over the French border. As darkness fell, the battlefield was a ghastly sight. Men and horses lay everywhere. There were up to 45,000 dead and wounded. As Napoleon rode towards Paris, Wellington returned to his HQ, gave Copenhagen a kindly pat, and narrowly missed being kicked! He slept briefly, and early on the 19 June, he wrote his account of the battle, which was to reach the British government two days later. The only bit of conceit that he allowed himself was to remark, ‘It was the nearest run thing you ever saw in your life. By God! I don’t think it would have done if I had not been there.’ He was almost certainly right. On 21 June, Lord Castlereagh announced to the House of Commons the news of the victory. 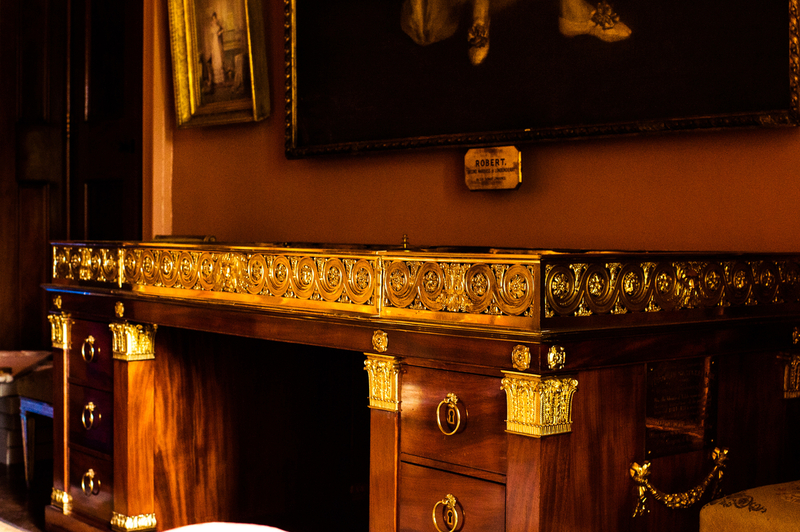 The collection at Mount Stewart contains many objects relating to these events. 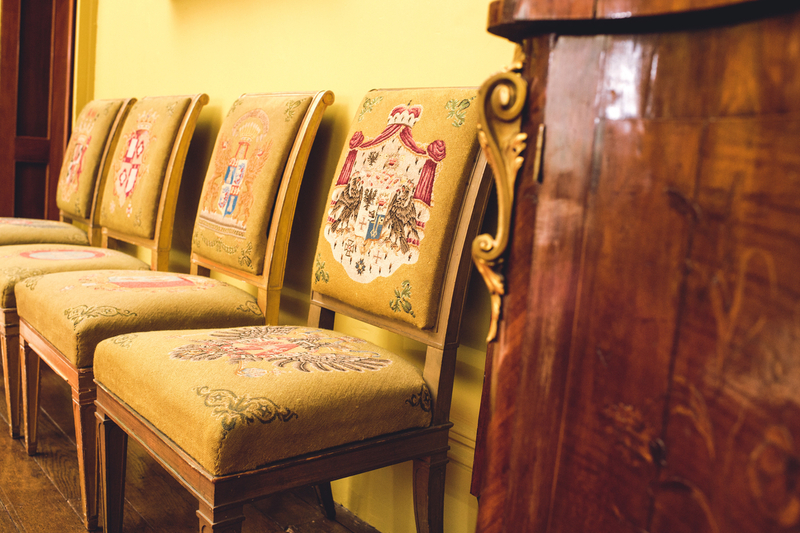 The Congress of Vienna chairs, purchased for the British Embassy in Vienna, and bookcases owned by Lord Stewart. The desk on which the Final Act of the Congress on 9 June 1815, and the Treaty of Paris on 20 November 1815, were signed. The desk came into the possession of Lord Castlereagh. There are portraits of the Stewart brothers by Sir Thomas Lawrence. 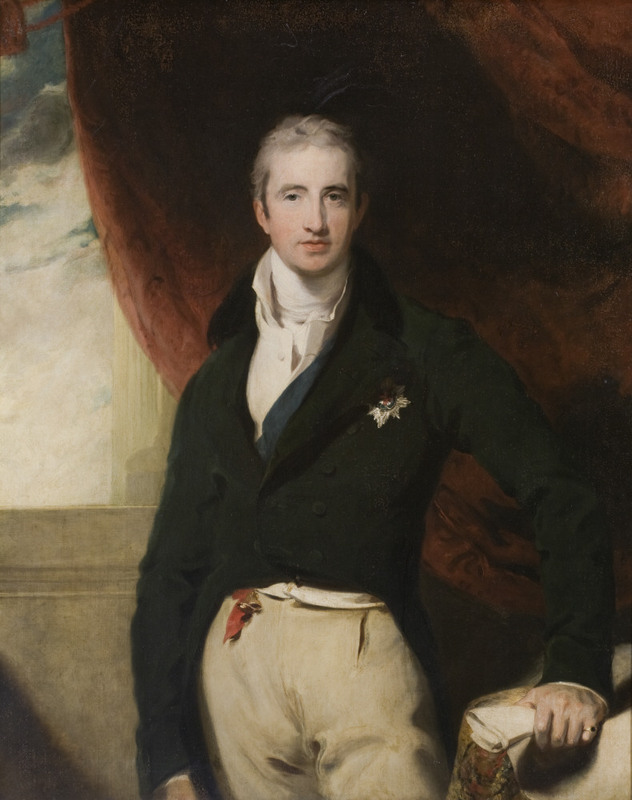 Robert Stewart, Viscount Castlereagh, 2nd Marquess of Londonderry, Thomas Lawrence, circa 1814. 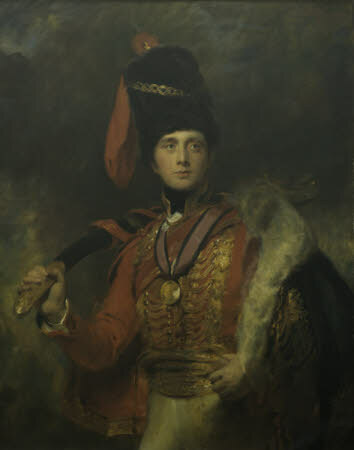 Charles William Vane, Baron Stewart, later 3rd Marquess of Londonderry (after Sir Thomas Lawrence), attributed to Edmond Brock, circa 1924/25. Finally, 18 June was Lord Castlereagh’s 46th birthday.